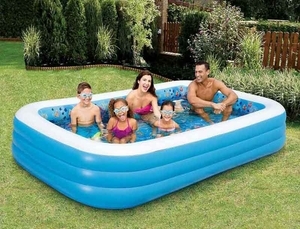 Make this summer memorable with the Inflatable 3D Relaxation Family Pool, easy-to-inflate pool, generously sized and features 3D images that come to life when viewed though the included 3 sets of 3D goggles. Enjoy an ocean experience in your backyard with this innovative and exciting family pool. 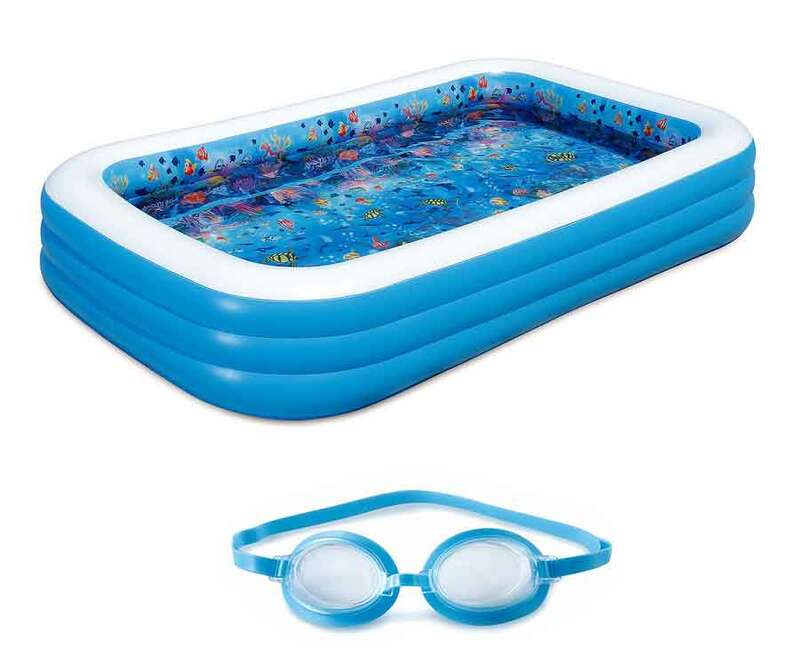 Features: 3D sunken ship printing Three goggles included 3-tire construction PVC materials Easy to inflate Aseembly instruction manual included Features bright 3D ocean image Measures: 120" x 72" x 22"